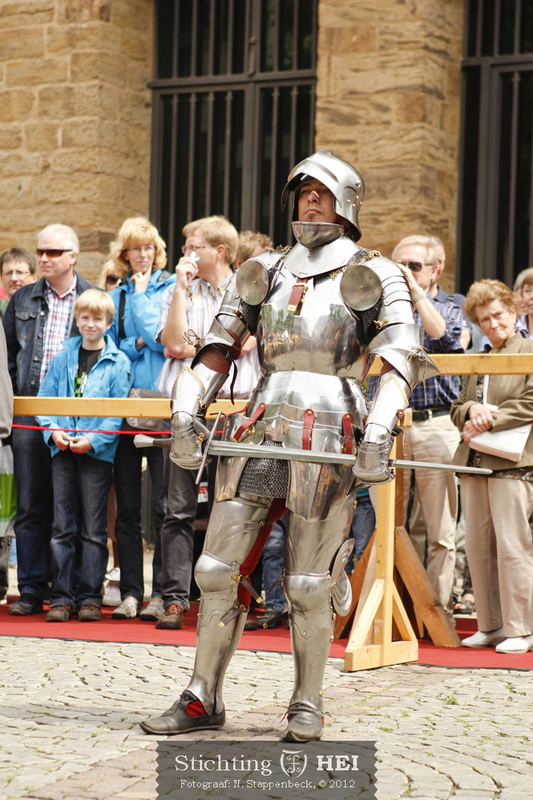 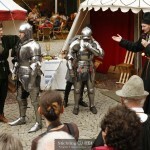 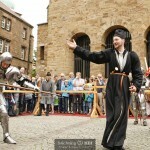 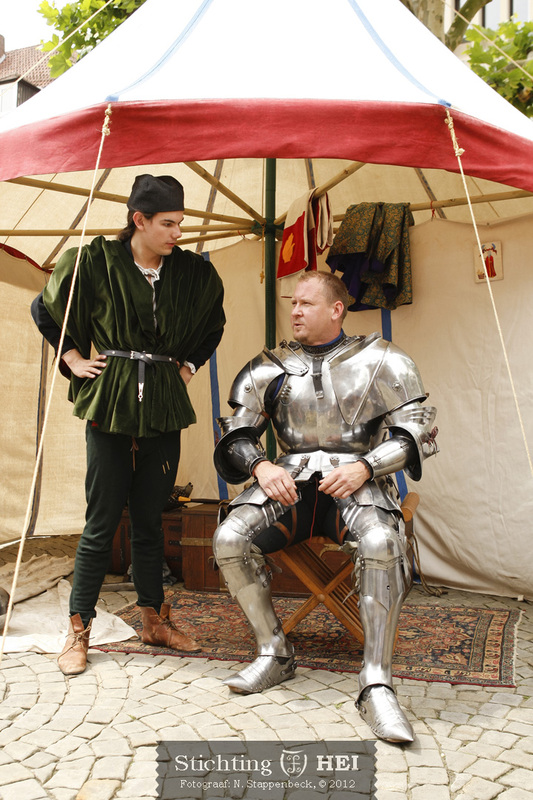 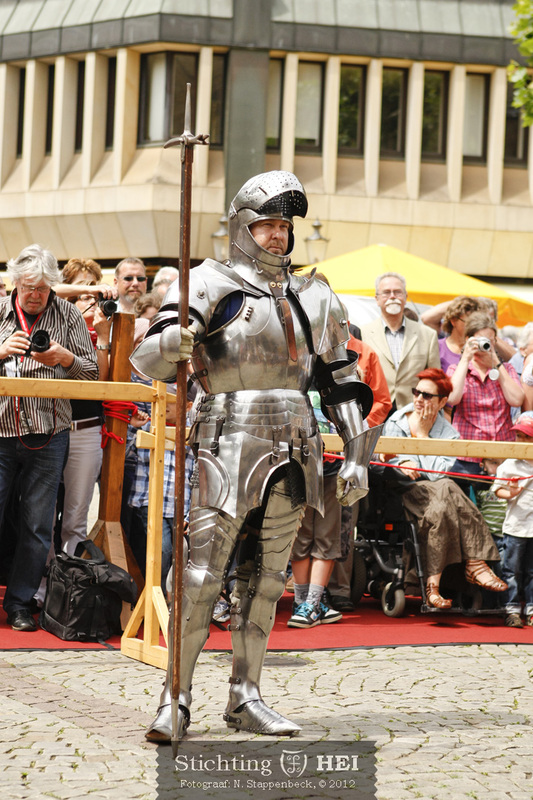 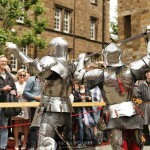 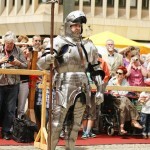 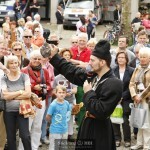 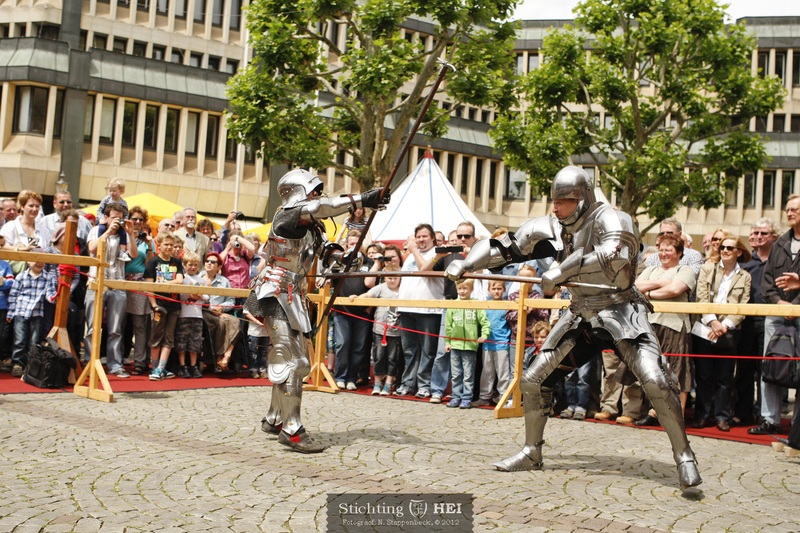 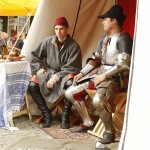 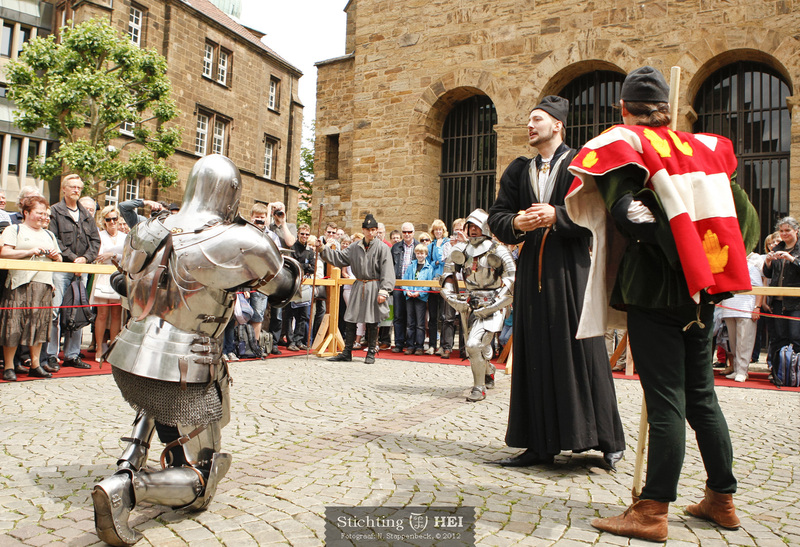 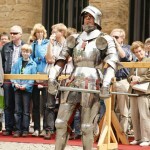 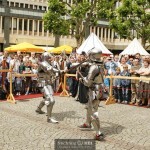 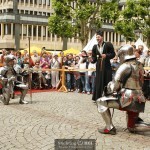 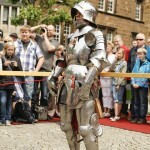 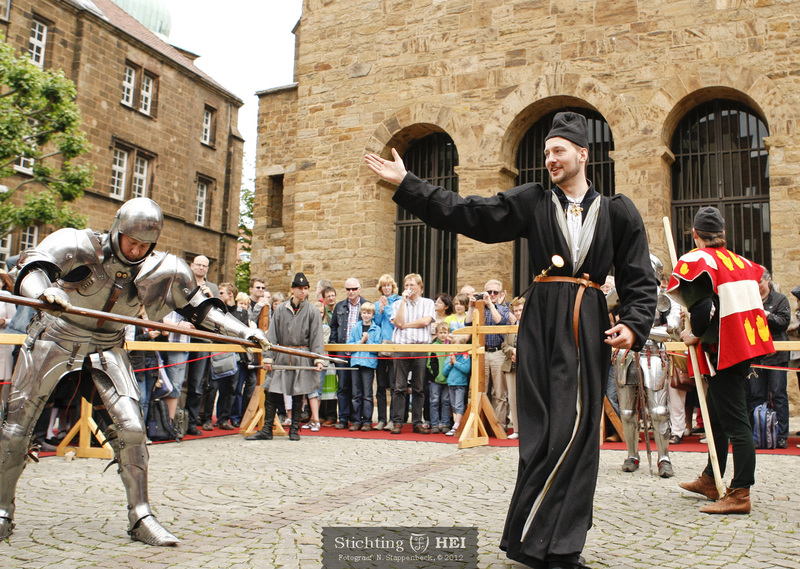 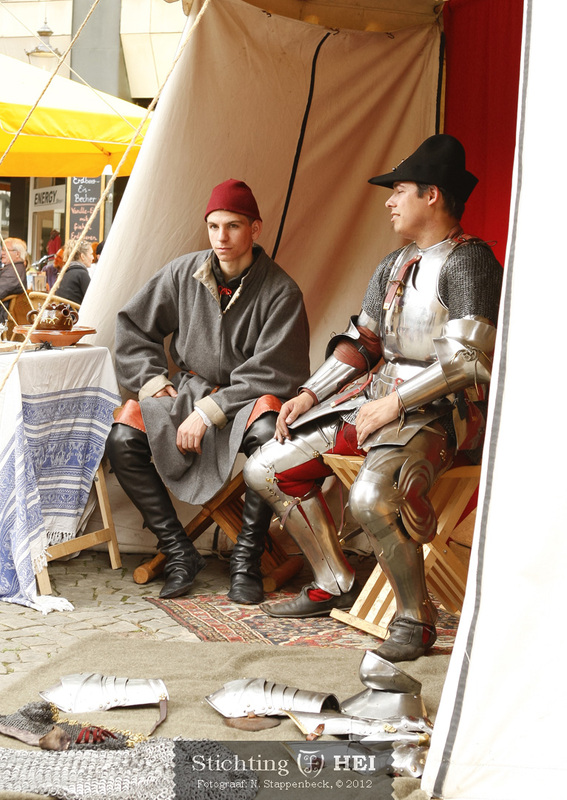 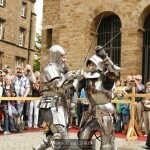 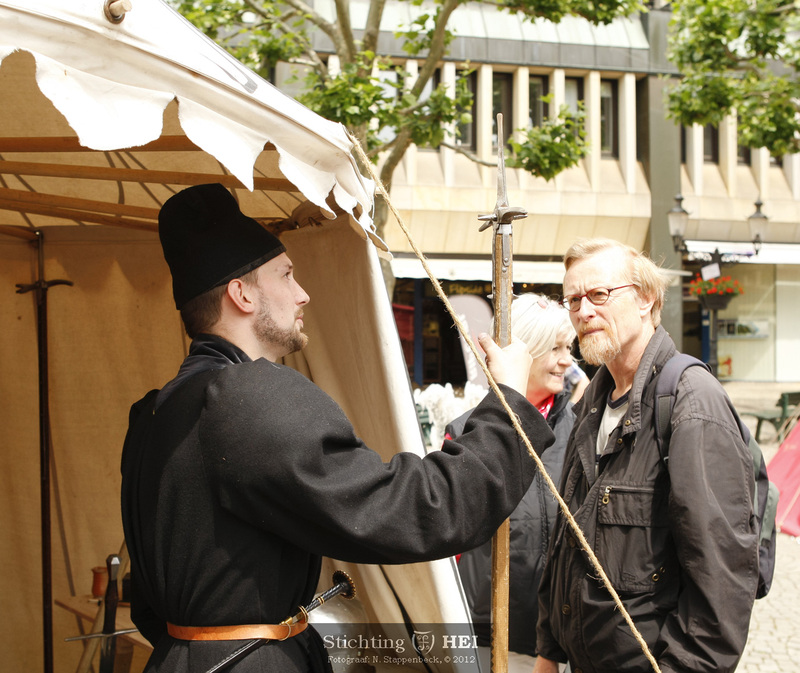 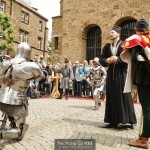 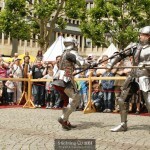 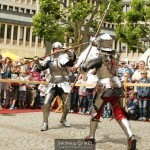 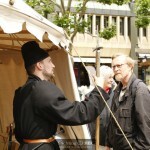 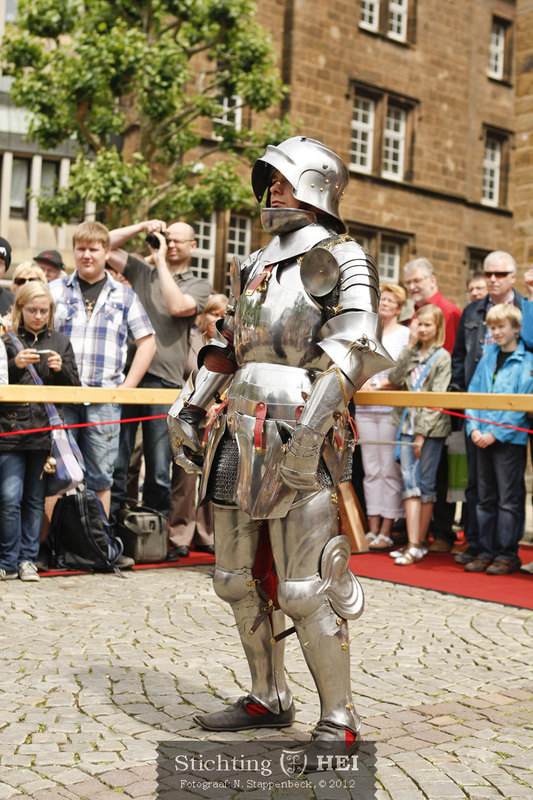 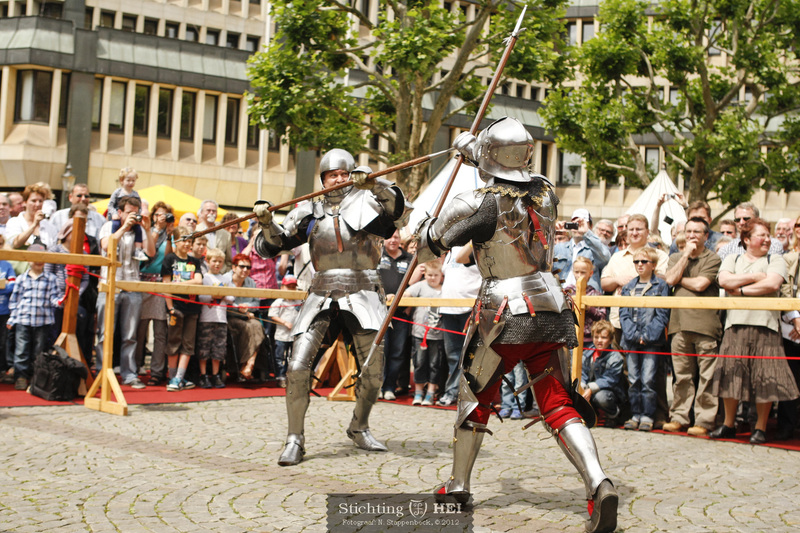 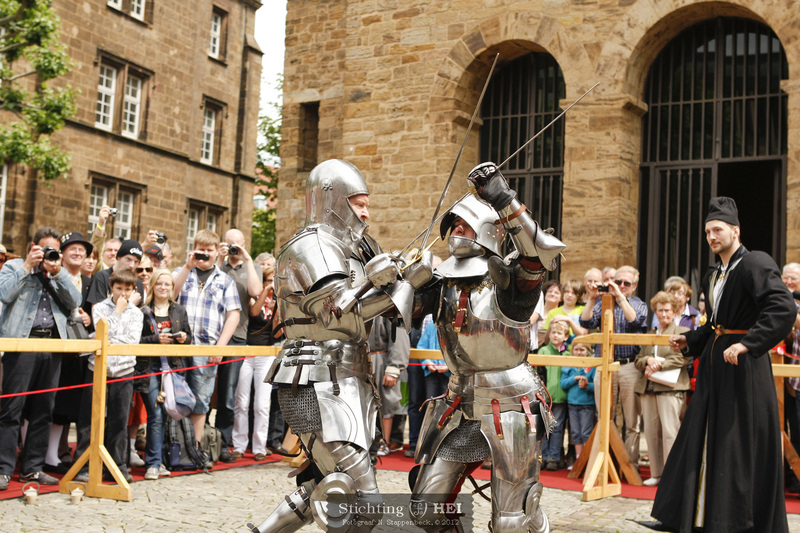 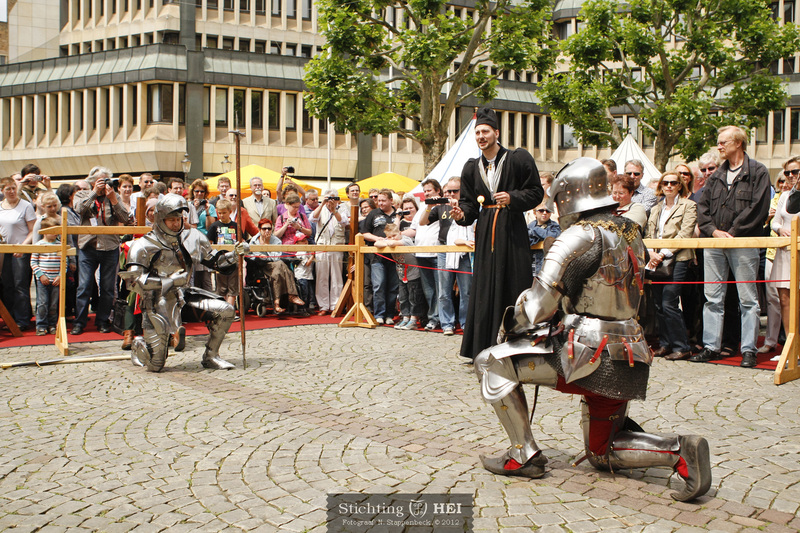 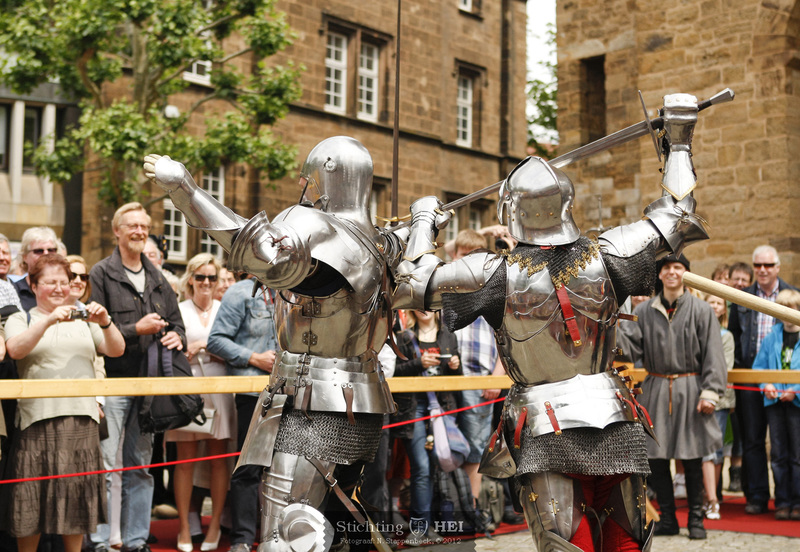 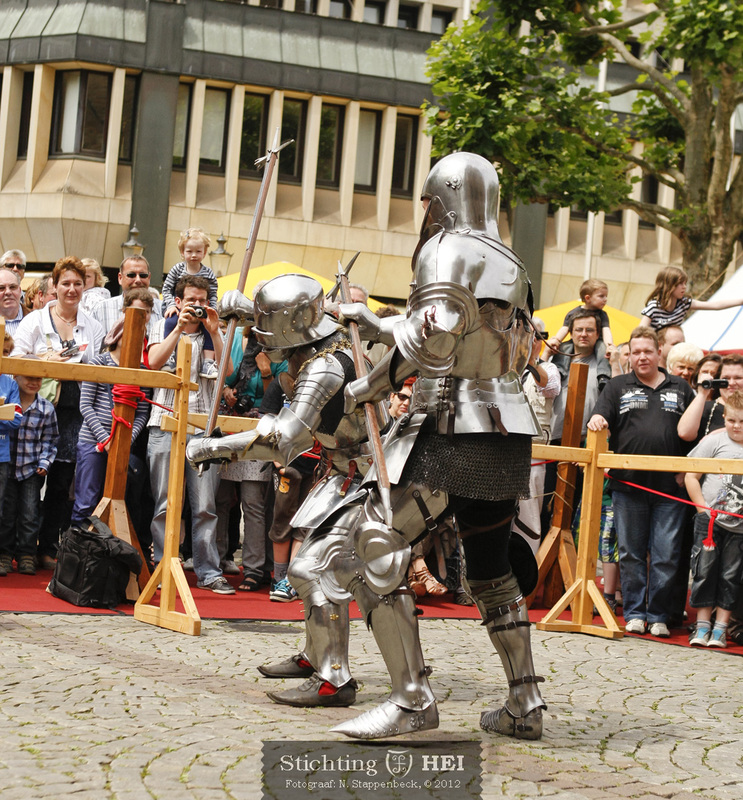 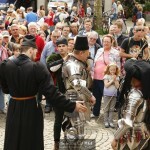 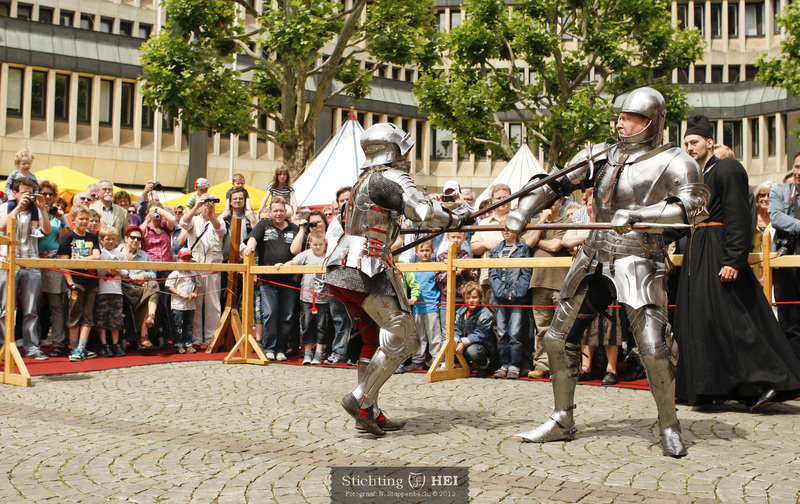 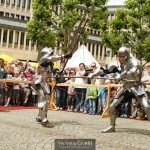 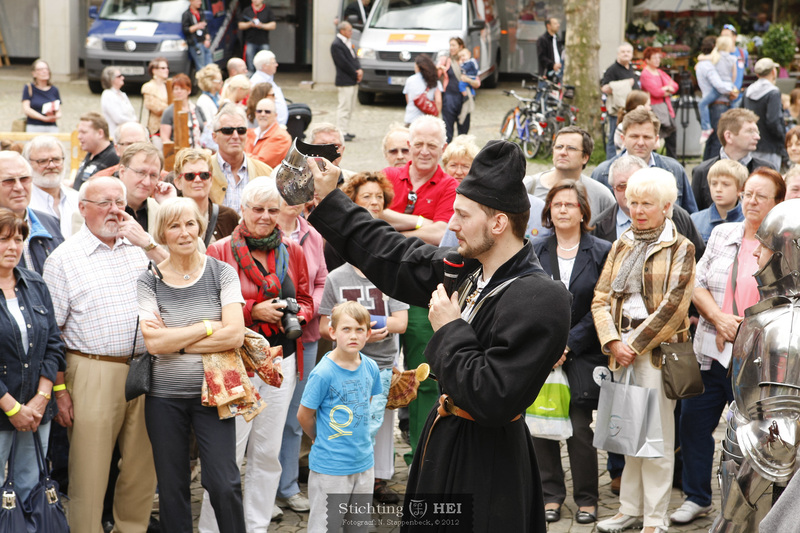 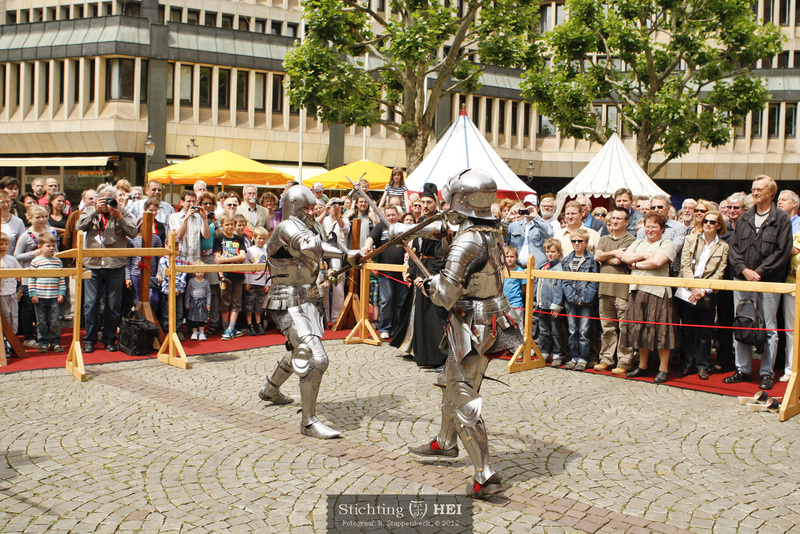 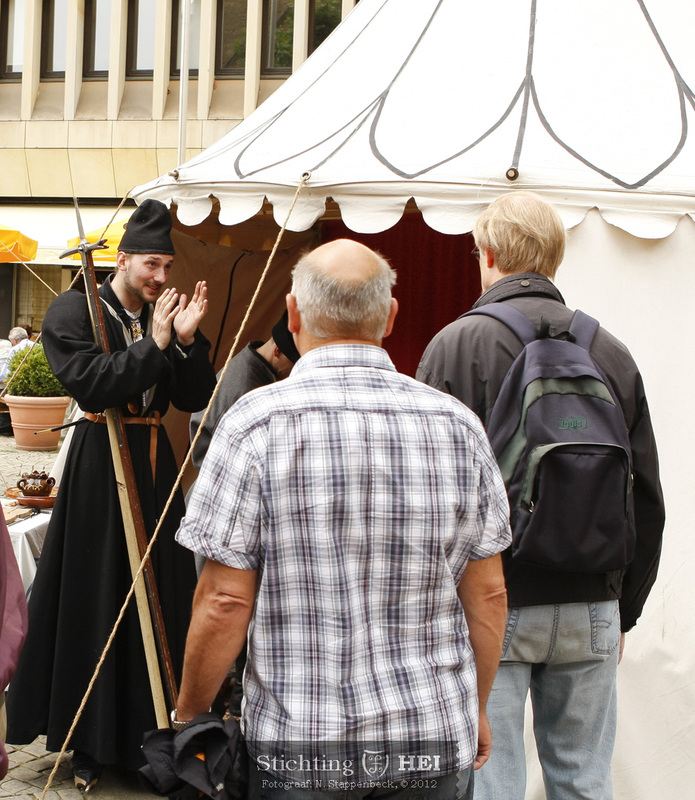 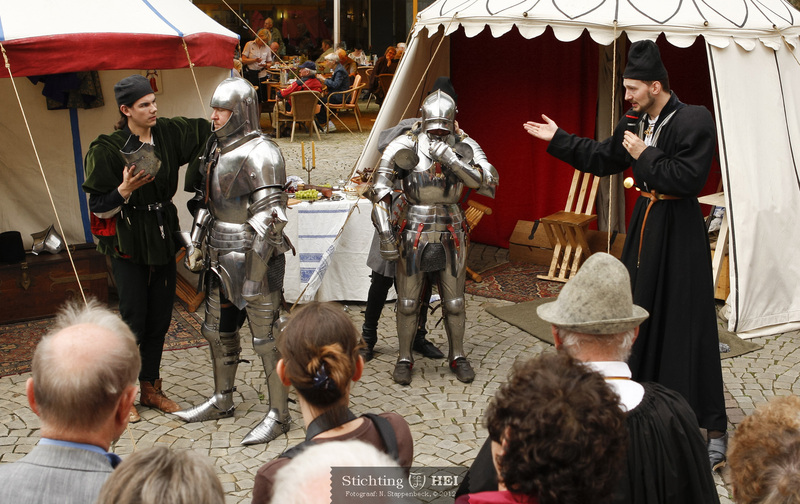 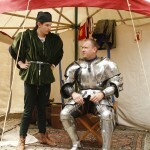 At the tournaments of the 15th century the gentlemen had the choice to challenge one another for a tournament on foot. 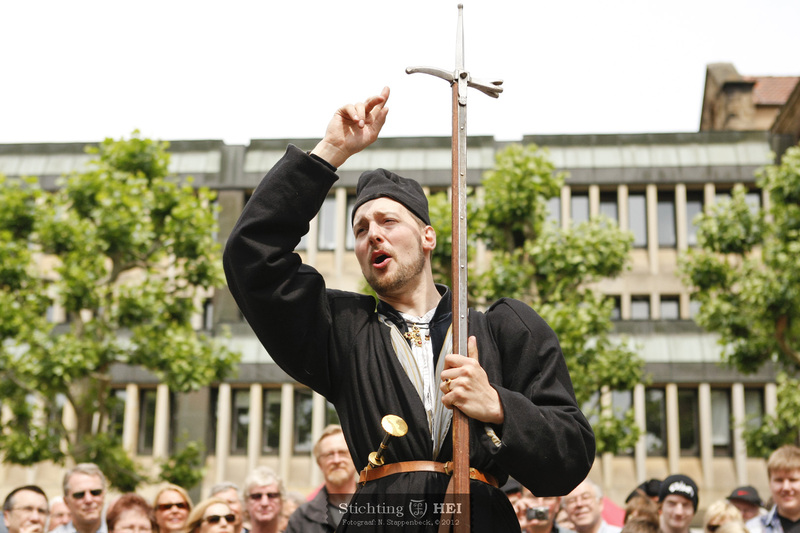 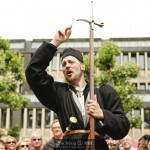 The primary weapon here was the long axe, the pollaxe. 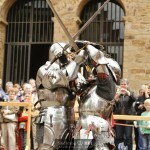 Next to this also the sword and dagger were used and of course wrestling techniques were applied to disarm or throw each other to the ground. 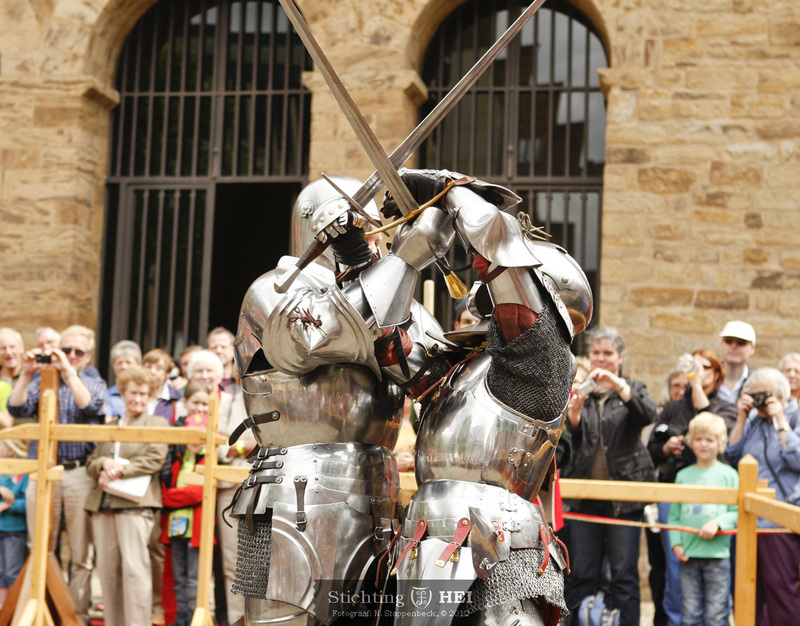 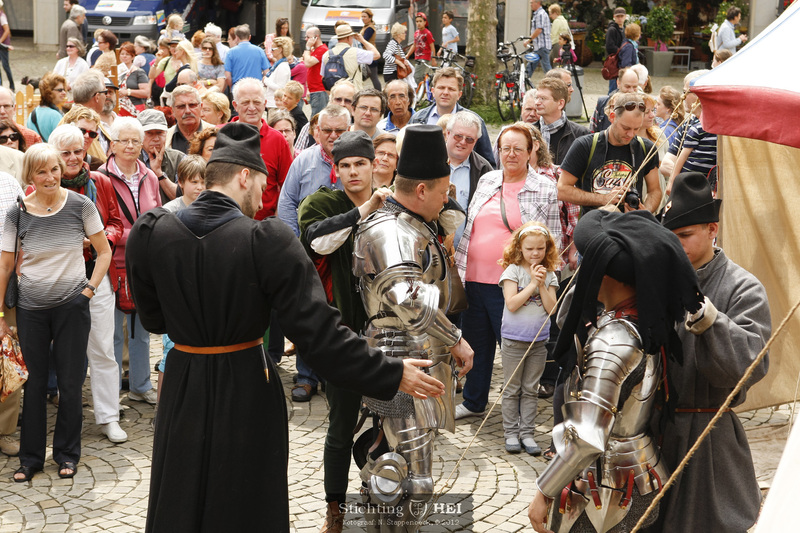 When you hire our knights you will see them get at each other in full authentic steel plate armour with polearms and sidearms. 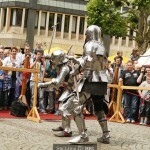 They will show you techniques as described in still extant 15th century fighting manuals.